We're delighted to announce that we are celebrating the launch of Pen-Y-Lan Pork's new Pocket Rocket sausage TOMORROW at West Kirby Farmers Market 9-1. 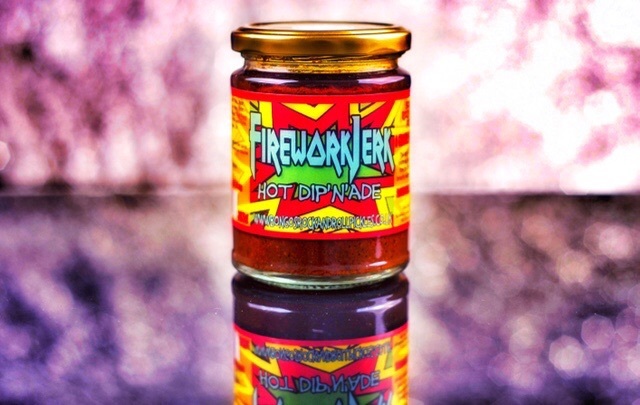 As you might have guessed it's made with our delicious Firework Jerk Dip'n'ade, resulting in a sausage like no other! Spicy, hot and tastes soooooo good you'll be buying them by the dozen! So to honour the free tasting, we'll be hosting our products next to Mike INSIDE the market, so look for us inside. Get there early folks as we predict these bad boys will sell out quickly. Mike and Wendy from Pen-Y-Lan Pork hand rear their rare breed pigs so you know you're getting a top quality sausage from a free range pig. We're really excited to be a part of this new joint venture! Keeping it local folks! So come out and support us! Mike on his farm in North Wales with "his girls"